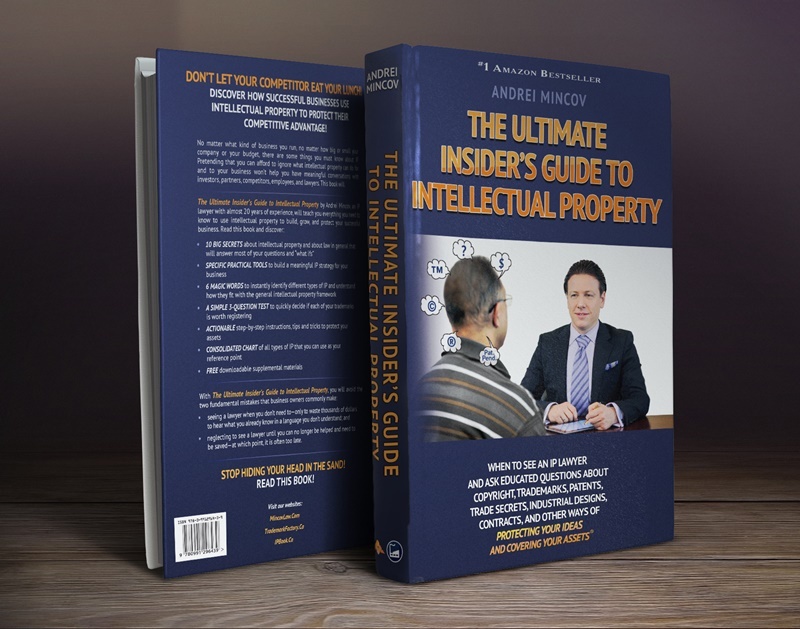 The Ultimate Insider’s Guide to Intellectual Property is now #1 Amazon Best-Seller! No matter what kind of business you run, no matter how big or small your company or your budget, there are some things you must know about IP. Pretending that you can afford to ignore what intellectual property can do for and to your business won’t help you have meaningful conversations with investors, partners, competitors, employees, and lawyers. This book will. neglecting to see a lawyer until you can no longer be helped and need to be saved—at which point, it is often too late. Stop hiding your head in the sand! READ THIS BOOK!